Hamilton Parish MPs Derrick Burgess and Wayne Furbert are inviting residents of Constituencies 5, 6 and the wider community to a meeting concerning the development of Shelly Bay Beach. The meeting will be held on Thursday [July 2] beginning at 7:30pm at Shelly Bay Beach. In a joint statement Mr Burgess and Mr Furbert said, ”As this multi-purpose location acts as a beach, playground and park for the community, it is felt that the public should have some consultation and communication regarding the proposals to redevelop the site. The plans for Shelly Bay Beach include structural improvements to the building and the reopening of a restaurant and water sports rental outlet. “Government approvals have been granted to permit structural improvements to the building, the reopening of a restaurant and water sport rentals. Improvement plans also include reopening permanent restrooms for the public’s use, in partnership with the Ministry of Public Works,” the BTA said. Time for them to do some showboating and spread some misinformation perhaps? Seems to be the standard PLP response when the OBA make progress for Bermudians. if that is the fear then perhaps the minister of public works should host a meeting about the development? The main question is whether or not the Minister of Public Works and the private parties looking to redevelop the site has been invited to be present at this meeting to take and answer questions from the public directly. Looks like an open invitation to all to me, if anyone doesn’t show it’s because they don’t want to be there, not because they weren’t invited. Since the meeting will be held on the beach, I wonder if Flip Flop will be wearing his namesake footwear. Both of you bies had ample time, as a matter of fact, years to develop/convert the beach restaurant into an attractive and inviting multi purpose area to lure tourist as well as locals. Tell me, are you attempting to push a stick into the wheels of progress? If so, shame on both of you bies’. If it’s a camp-sites, then that also can be worked out. But remember, the playground is a public playground and not a camp-site. So Rsy, what exactly is wrong with area residents and the general public having input? I have recd countless bits of mail requesting support to oppose the proposed W&E development at the Botanical Gardens – what is your public take on that matter? Maybe you have voiced it and I simply missed the blurb. Raymond is the biggest OBA fan going. He posts comments to make the OBA look good even on bad articles. We tend to disregard his posts or just click the dislike button. Don’t try to figure him out. He hardly ever makes sense with anything. The underlying *hint* is that people should show up to find fault with the development. Some people just don’t like positive news. Plp. Always thinking about themselves. They are having a meeting with the community to gather their insights into the upcoming development,, what is wrong with that? I mean really, sometimes I wonder. It’s called, know your place. When certain people in the society are doing things, the rest of us just need to be seen and not heard. Come on – tourist numbers will not increase if that beach is upgraded.. stop it!!! If there’s a nice watersports rental place and a restaurant, why wouldn’t it be a place tourists can enjoy along with locals? Why wouldn’t it improve the visitor experience? Why wouldn’t it provide a few jobs? I live in Bailey’s Bay and the number of walkers who walk the railway trail since the foot bridge was opened has increased dramatically. To have a nice restaurant at the end of the walk will be an added benefit to all locals and visitors alike. Likewise a sports rental outlet – can’t think of anything bad to say about that either. Lets hope there isn’t a sense of entitlement amongst our community that believe the public space called Shelly Bay beach, park and playground somehow belongs to them and them alone. Shelly Bay Beach, the park and the playground do belong to the people of Bermuda. In my opinion the only thing that needs to done there is add a snack bar and fix up the toilet facilities. Heaven forbid we allow any investment to improve the experience of using our beaches. Can’t have that. Anyone waste there precious time to attend this meeting is just as silly as these two jokers. SMH! I could care less who is holding this meeting, the only thing I see as a real Issue is the fact we have had since last fall to now to deal with this,so who the heck dropped the ball and why is this being dealt with when the summer has already begun. Maybe America’s Cup coming here was more important, so we bypass 2015 to grab 2017, sounds like a minister Fahye and his demolition crew byes, rubber stamp wanna be Bermudians inhere first, get the rich to put the money behind America’s cup, so our local rich can get richer, and later for those few locals that want a up to date facility to relax and unwind and take the pressure off the head, from all the pressure that these joker’s put on everybody. That is alright cause they will get their bath when the water get’s hot, aint that right. you have no idea what you are even talking about. Correct, he doesn’t. Like a broken record he just skips and repeats, skips and repeats. He loves the PLP though. I’m all for public engagement, town hall meetings and the whole bit. But the reason we go through a planning process and the Official Gazette is so that people have time to speak up in objection or support. And this particular spot has been derelict for more than six years! Six years! I kind of think the time period for communication and consultation has passed. You missed it! Nonetheless, good luck with the meeting. I hope it allays fears instead of stirring them up. Just watch, they are going to try and make it sound like Shelly Bay is being taken away from grassroots PLP supporting Bermudians and placed in the hands of the rich evil foreigner. They will tug at the heartstrings of these people and try their best to impede all progress. Such is the way of the PLP. They care for nobody but themselves – the few PLP elete, pigs at the trough. See Duane P. Santucci’s post above. The UBP and their new /revamped cousins the OBA have done the very same thing. It’s called being politicians and there are very few politicians that get up in the morning and don’t seek fame , fortune and power..
Jonah – I’d have to agree there mate! Someone wants to fix, upgrade and provide services to better a public space, and the response is ‘the people should’ve been consulted and must now offer their input’. Sorry, it’s a little late for that. If people wanted input, they should’ve got together long before now and done something. There have been years of opportunity. However, I figure the developer has the best interests of the area and the island at heart because that’ll be the best way to make the project a success, so they’ll probably take things into consideration. I have to smile at the comments. We have spoken to Mr. Thomas Steinoff and he gave us a briefing of what he plans to do. We were also asked by our constituents about the development. Based on this we asked Mr. Thomas Steinoff if he would so kindly speak to our Constituents and any others who are interested, which he so kindly agreed. For those of you who like to hide behind a pen name would like to come please do. Obviously there are many who distrust you Sir. I wonder why that could possibly be? A man’s reputation is all he really has. It takes a lifetime to earn it, and but an instant to lose it forever. Ed Case all I can say to you, is that there are many that do. Enjoy your day! You told Ed to have a good day?? But we all know you did not mean one word of that??? You actually have found your proper side of the political divide haven’t you??? Plp,= progressive LYING party!!! Any chance you can convince your fellow ex plp government members to apologize for the fiscal carnage you caused to Bermuda and in particular your own supporters??? That’s very kind of Mr. Steinhoff. It might have been helpful to the public had his attendance been mentioned in this piece. The place sat empty and unused for the majority of the PLP’s time in office and NOW they want to make an issue out of it? How can PLP supporters even go along with this??? We all know why this is of importance to them. MP Burgess and MP Furbert are the. elected representatives for the area. The development of Shelly Bay is a major proposal. It is very responsible of them to call a meeting to share the proposals with their constituents. The Government as a whole shoud have seen fit to call such a meeting as Shelly Bay Park and Beach are very active but informal neighbourhood and ommunity recreational areas. If you are so scared of misinformation. ( or maybe even the correct information) being shared, please come to the meeting and ensure that no showboating takes place. As for most of these respondents…i bet they never even visit Shelly B ay B each or Park. They just follow a script. And just because someone may want to ask questions or to know how it will affect them does not mean they have a sense of entitlement. Many residents do not look at Shelly Bay as in shambles or derelict. They enjoy the safe family atmosphere of the beach and park. They have used the playground and the beach casually for many many years. Not everyone desires a world class finish for the area. Many residents may just wish to enjoy it for many more years ensuring that there will be no formal stifling hindrances to their pleasure. Follow your script and.call it entitlement if you please. Will the PLPeoples Campaign be there? We haven’t heard from the PLPeople’s Complainers for a while now. They need to embarrass themselves again. Bring on the 2 union guys and the expat preacher – always good for a laugh. This will be on Thursday evening, so the following morning they will do the weekly ‘calling for resignation’. This is the people’s park and beach area and has been for generations. It would be wise for any developer to lay their plans before the public and get their buy in. 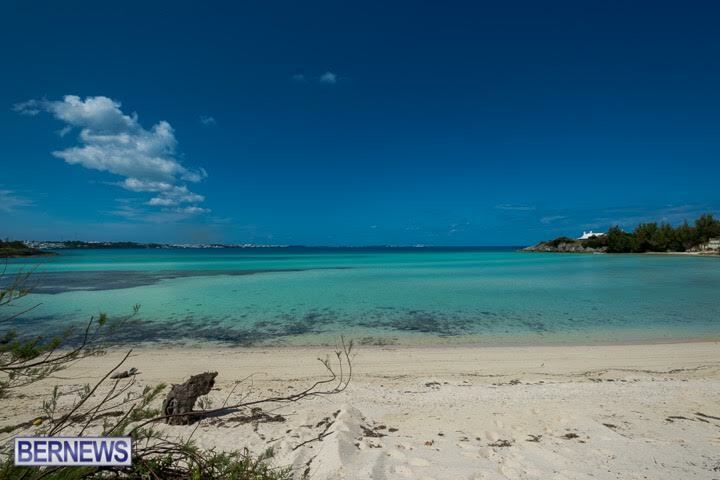 This area is a free recreation and beach area but given this government’s penchant to sell off Bermuda’s national assets; there will be a great deal of suspicion over exactly what is proposed for the area which is not only used by the people of Hamilton parish; but the whole of Bermuda including churches; families and schools. The way it works, Alvin, is that the planning dept approves planning applications. Not ‘members of the public’. I don’t recall the government of the day caring what the ‘members of the public’ felt about the ugly buildings at Grand Atlantic. @stunned, I have filled in the blanks and totally agree! !, funny how yardie can put out an arrangement and fail, but many have nothing to say about it???? It never ceases to amaze me how so many will overlook something because of colour??? If everything I have read concerning this new venture comes to fruition, Bermuda has needed this desperately!!! I recall the Government, I repeat the Government which is the Civil Service not OBA OR PLP, publicly requesting tenders for the Shelly Bay Beach House concession. If the PLP was concerned why didn’t they speak up? Did they announce public meetings when White’s Island was leased for one day less than 21 years plus a renewal? Did they call for a public meeting when the Hamilton Waterfront was leased for 2623 years? Did they call a public meeting when the land for St George’s hotel was leased for 262 years? Did they call for a public meeting when Coco Reefs was leased for 262 years? Did they call for public meetings when they awarded Tucker’s Point SDO’s to develop protected woodland? The list goes on. The Proposal for Shelly Bay Beach House was publicly announced at the time. What more could the Government do? What they are doing now is pure political tactics and showboating. Pathetic. But this venture seems of a much greater scope than Yardie’s setting up a mere restaurant on-site, to be fair. The OBA are on the back foot with this. Now the PLP have the developer bringing his plans to the public instead of the Govt doing it. Come on OBA, step to it! Well I would love to attend but I am expecting…..and there are no bathrooms. It all sounds ok and that Beach side needs an up-great since a long time – but can someone tell why it would be Mr. Steinhoff’s application that won ? – did any of the locals ever look at what became of Snorkel park?! That Snorkel park is something to stay away from – far away – and its not to recommend for tourists either! I went there last summer and was shocked! Well – this Shelly Bay place hopefully is in better luck than Dockyards! Come all out to the meeting tonight – say what you think – could be interesting! And by the way – there are many beaches without toilets still !!! Not to mention showers. And this will call itself a modern touristic island ?